UK2.net is a well-known Web host stationed in the UK. This host started out in 1998 and has since grown to host millions of websites. They provide a number of services, including shared and dedicated hosting, VPS cloud hosting and domain registration, and are an excellent choice if you want to host a website in the UK. 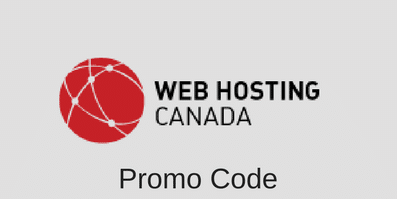 Their prices are in Euros, but their hosting accounts are quite affordable. Read on to see if this host is capable of serving your needs or if you should look somewhere else. UK2 offers most of the options that you expect to find with a shared host. They mostly offer unlimited bandwidth and memory with their shared hosting accounts and they offer script support with their packages. You will get support for PHP, Ruby on Rails, Perl, PEAR, CGI and Zend Optimizer. You also get FTP access and MySQL databases, though the number is limited based on the package you get. The Starter package is great for anyone that just wants to host one small website that doesn’t require much bandwidth or disk space. The package is very limited, but that is to be expected considering the price. The other three give you unlimited bandwidth, memory and email access. The biggest difference is the number of domains and MySQL databases that you can host. The Personal package allows you to host 10 domains, while the other two are unlimited. You can only have one MySQL database with the Personal package and you are granted an unlimited number with the other two. The main difference between all the packages is the server’s stats. For example, the UK200 package comes with a 500GB hard drive and 2GB of RAM. If you get the UKG800, then you get 2TB of storage and 16GB of RAM. When choosing between these packages you should consider the amount of memory and RAM you need based on the size and traffic of your website to obtain the best performance. The Reseller Starter limits you to hosting 10 domains, which won’t allow to run a very profitable hosting business. Both the Reseller Starter and Reseller packages force you to pay £99.95 a year for custom nameservers, which isn’t worth the price. However, the Reseller Plus gives you the custom nameservers feature for free and you gain access to an unlimited number of SSL certificates. Unless you are just starting out with reseller hosting, the Reseller Plus is the best one. If you just want to get a taste of reseller hosting without paying a lot, then try out the Reseller Starter package. Get 3 free months in addition to 3 free domains names, free SSL, free dedicated IP and more when you order a 2-year hosting plan on UK2.net. Sorry, this coupon has expired. Get 3 free months in addition to 3 free domains names, free SSL, free dedicated IP and more when you order a 2-year Cloud hosting plan on UK2.net. Receive 50£ off the UKG800, UKG1600 or UKG3200 Dedicated Servers when you sign up at at UK2.net for any contract term. UK2 is a powerful UK-based Web host that has many versatile packages and features. You can easily store your new website or you can host large enterprise sites, depending on what package you buy. And we didn’t even cover all the types of hosting plans that they currently offer. Indeed, UK2 also offers VPS Cloud hosting which you can customize for your needs, as well as special ecommerce hosting. They also provided specialized applications like goMobi and SiteBuilder. Due to the features and affordability, UK2 is an excellent choice for hosting a website on UK servers. Their hosting services are dependable and reasonably priced, plus their versatility allows your website to grow while remaining with the same host. Regardless of what type of website you need hosted, UK2 should be able to accommodate your needs. This entry was posted in Web Hosting Reviews on August 2, 2012 by WHR.